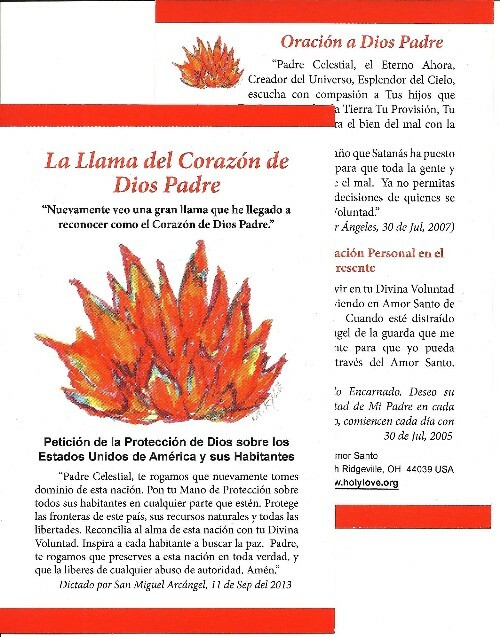 The front of the prayer card shows the image of The Flame of the Heart of God The Father with the prayer, "Petition for God's Protection Over The United States and Its Citizens". 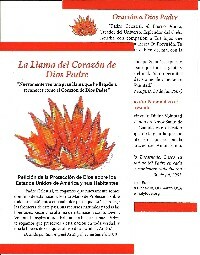 The back has two prayers: "Prayer to God The Father", and "Prayer for Personal Sanctification in the Present Moment". There is also a quote from Jesus "...begin each day with this prayer..." from July 30th,2005.